For some cancer is just a word, but for many others it is so much more. It is a disease, a killer, an evil thing. For me, it is what took my father from me way too soon. I can still hear his voice telling us many years ago that he had been diagnosed with prostate cancer. I can still remember the cold feeling of dread that washed over me, followed by fear, sadness and anger. I remember the weeks of worry, the scary thoughts going through my head, the need and urge to do something to make it right. The unfairness of it all. Then came the surgery, and the feeling of immense relief and gratitude when we heard that my father was now cancer free. Fast forward to four years ago. 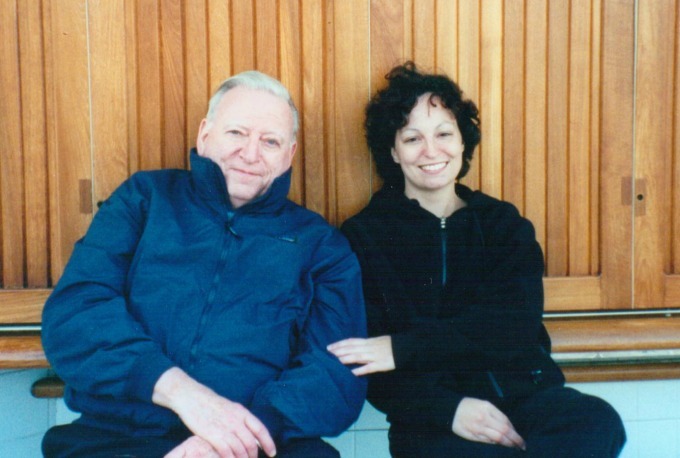 The cancer that began as prostate cancer came back, and this time there was no stopping it. Within a year and a half, he was gone. The man who raised two little girls from toddler-hood all by himself. The man who provided for us, taught us right from wrong, and loved us to no end. Gone. My story is just one of hundreds of thousands of similar stories of loved ones lost to cancer. And prostate cancer is the 2nd leading cause of cancer related death in the United States. Every year, over 1.2 million biopsies are performed with 240,000 men diagnosed with this form of cancer. 30,000 die. The American Cancer Society estimates that about 1 in 6 American men will receive a diagnosis of prostate cancer in their lifetime. 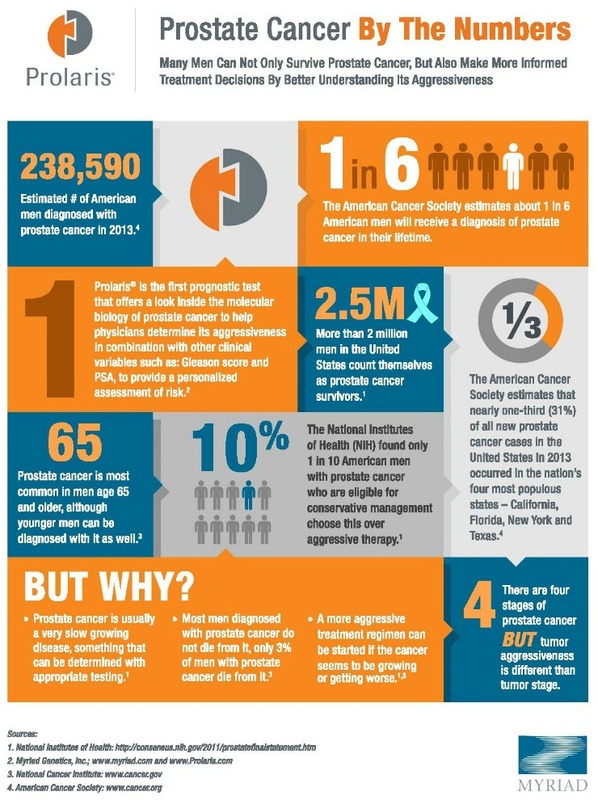 They also estimate that 2.5 million men in the United States count themselves as prostate cancer survivors. Myself, the families of those that have passed, and those who have survived all have something else in common. They all want more survivors and better treatment. As does Prolaris. Prolaris is a genetic test for prostate cancer that combines traditional risk factors with a molecular assessment of the aggressiveness of an individual patient’s cancer. It is the only test that provides information about how fast prostate cancer cells are dividing. Doctors and patients can use this unique information that Prolaris provides to make the most informed treatment decisions. Since women tend to take the dominant role in the health care of their family, we need to take the time to become more educated about prostate cancer and at the same time, educate the men in our lives. Knowledge is power, and Prolaris wants to help spread that knowledge around. Sign you and your loved one up for a series of 3 emails that will empower you with the knowledge you need about prostate cancer. 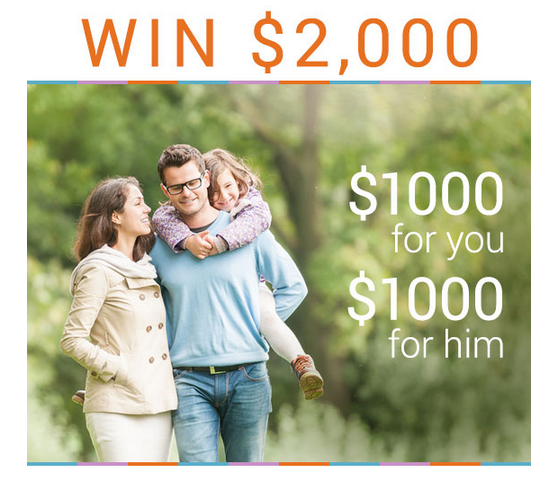 $1000 for you + $1000 for him + better health = a combination that can’t be beat!